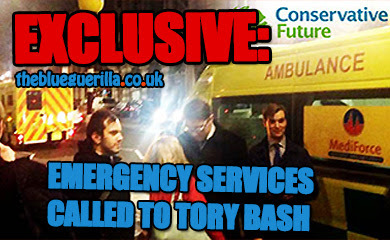 TheBlueGuerilla: Top Tories Ditch Party's 'Careerist' Spring Conference And Organise Mammoth Counter Campaign Day. Top Tories Ditch Party's 'Careerist' Spring Conference And Organise Mammoth Counter Campaign Day. 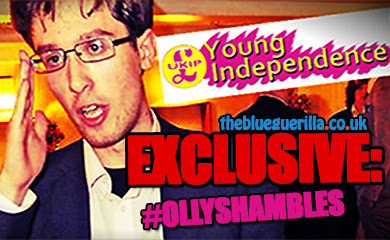 TOP Tory and Young Britons' Foundation (YBF) renegade activists are set to go to war with "lazy party careerists" with "a massive" campaign weekend in Harlow for Rob Halfon MP on 5th April, the same day as the Conservative Party spring conference, TBG sensationally can reveal. Senior campaign organisers have revealed to TBG it'll be the "biggest campaign day the Conservative Party has seen in the last few years", with over over 100 already confirmed in attendance. Activists from London Students, Conservative Party parliamentary staffers, think-tanks and business leaders will all be making there stand for those who campaign against those "who just want a nice CV". 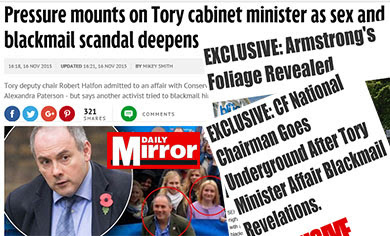 Major influential Tories leading the anti-careerist campaign day include Rob Halfon MP's Senior Parliamentary Aide Emily Burditt, former Conservative Future (CF) National Chairman Mark Clarke, potential CF future national chairman Mahyar Tousi and more. Celebrity political figures, MPs and Ministers will also attend the "fight against the careerists". 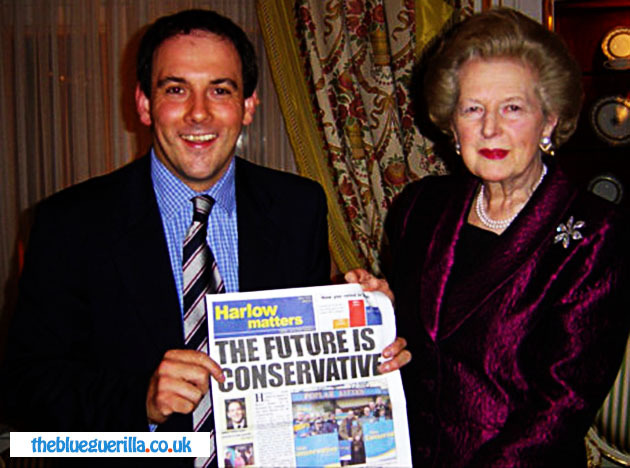 TBG understands many young Tory activists will descend on the established YBF rally tomorrow where the Harlow campaign day rebellion will be encouraged instead of Conservative Party Spring Conference. The organisers have predictably received criticism for ditching the Conservatives' spring conference in favour of campaigning for votes on the street, from the voluntary Tory party and allegedly "certain figures" on the CF National Executive. Leaked documents seen by TBG indicate that attendees will only have to pay for accommodation as there will be free travel, free lunch and a free curry for dinner. Not forgetting free drinks and clubbing in the evening. "Nobody’s labelling all those going to Spring Forum as ‘careerists’. This is simply against those who hardly ever campaign, and have refused to join this campaign after suddenly deciding to go to Spring Forum instead… To those who say this is just Libertarians being divisive: this is a group of passionate Conservatives who work hard to get a Tory majority in 2015. Besides, #RoadTo2015 is uniting all sides of the Party like no other campaign group has done before." course they'll be clubbing - I've heard a #teamjasmine party is being planned. The question is who Miss Rahman's date will be! but who will take her home at night? someone needs to shed a light! He has a bit of TBG fame! Or is he still with JSJ, the trooper? And who was she chatting to? But a mystery man, he could be new! To see who can get Miss Rah in the sack! Why does this not surprise me? It sets to alienate and victimise people who do go by labelling them as 'careerist'. As is the MO for this Libertarian clique now running CF, it reeks of their divisive group think. If I were in their position I would have scheduled the road trip for the Sunday and garnered support from up and own the voluntary party at the Forum on the Saturday. I for one will be attending my first Spring Forum. Well the last time she organised a party at a YBF event she screwed it up, left without paying for what she wrongly thought was free and others had to wriggle their way out of a £700 tab! Lets try and avoid a repeat.. Assume they'll all be out campaigning this afternoon rather than at the YBF rally then? How ignorant. Dedicated people campaign throughout the day if they can. 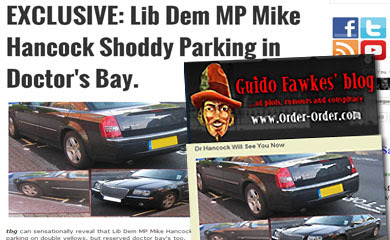 Leafleting for example. Is Tousi claiming to be a libertarian? HAHAHAHHAHAHAHAHAHAAH omg I am actually hurting with how much I am laughing. He is the biggest careerist I have ever seen in my entire life. With a 5,000 majority is Harlow on the 40:40 list? If not, lets see them out in some more useful seats which will get us an overall majority! Oh dear. Since when has Mark Clarke not been anything but a careerist! Let's focus on the 40:40, taking one session out for Spring Forum is not slacking! Looks like some people are trying to be opportunists and not sure any qualify as Top Tories.